Do you know this lady? What’s her name? Elizabeth. Her second name? Alexandra. Her third name? Mary. And her family name? Windsor. Hands up if you have ever seen Her on TV? I think that’s everyone! Hands up if you’ve written to her? is a very very important person, and very difficult to contact unless she takes the initiative. Do you have her mobile number or email address? We aren’t surprised if she doesn’t phone or invite us to tea, even though she only lives a few miles away in Windsor. We aren’t disappointed if she doesn’t invite us to join her family or share her inheritance. Do you know Queen Elizabeth’s full title? Did you notice what comes first and last? 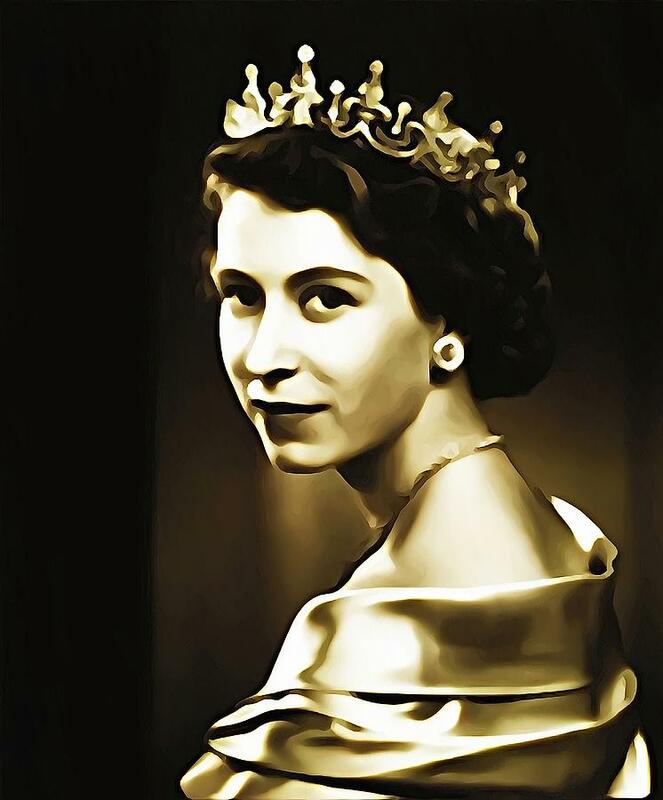 Her majesty only serves by the grace of God – by God’s free, unmerited, sovereign, mercy. And her role? Defence of the Faith! This was symbolized at her coronation in June 1953. Who placed the crown on her head? The Archbishop of Canterbury! Why? Because for the last 900 years the Kings and Queens of England have been crowned in a church, Westminster Abbey. It is a sign that our King or Queen serves under the authority of Jesus. And just to make that crystal clear, what is at the top, around and at the centre of the royal crown? The cross of Jesus. Her crown reminds everyone that she rules under the authority of Almighty God. She is a servant of the Lord Jesus who is King of Kings. And the Lord has clearly blessed her subjects through her long reign. Queen Elizabeth has certainly been the greatest and most influential ambassador Britain has ever had. Think about it, Her face has probably appeared on more stamps, and more coins, and more banknotes, the world over, than any other living person. And what do each and every one of those coins tell us about her role? Fid Def or just F.D. What does it mean? In Latin, she is Fidei Defensor. What does that mean? “Defender of the Faith”. How does she defend the Christian faith? One example is her Christmas message. For 60 years, she has preached a sermon to the entire world. And every year, it focuses on Jesus. After Billy Graham, she has probably told more people about Jesus than anyone else in the whole world. She unashamedly encourages her subjects to know Jesus and serve Him by caring for others. Queen Elizabeth may be the Supreme Governor of the Church of England. But first of all, she is His Majesty, King Jesus’ loyal subject. And whether you are British or not, whether you are a Monarchist, Democrat or Republican, whether you recognize it or not, you are his subject also. Our Bible reading explains why. The reason most of us have never met or spoken with the Queen is because she has such a high, exalted position. There is a great distance between us, even though she lives just a few miles away in Windsor. If that is true of the Queen, how much more true it must be of the distance between us and the Lord Jesus, the King of kings. He is “far above all rule and authority, power and dominion”. Far above all Archbishops and Popes. Far above all Prime Ministers and Presidents. Far above all Queens and Kings on earth, in the past, in the present or in the future. If He is so much higher and more distant, how can we possibly ever hope to know him? “I keep asking that the God of our Lord Jesus Christ, the glorious Father, may give you the Spirit of wisdom and revelation, so that you may know him better.” (Ephesians 1:16). Even though Jesus is far above all rule and authority, Jesus wants us to know him in a deep, personal and lasting relationship! Why? You may never know her Majesty, Queen Elizabeth personally. But if you trust in Jesus, God will adopt you into His family. He consecrates you to represent him, as his ambassador, a Defender of the Faith. And one day, you will reign with him for ever and ever when King Jesus returns to reign over heaven and earth. Lord Jesus, we kneel in humble adoration, acknowledging that you are indeed King of Kings and Lord of Lords. We thank you that, wonder of wonders, by your sovereign grace, you call us not just to be your subjects but your sons and daughters. We praise and thank you for the privilege of representing you on earth as your ambassadors. Help us to live a life worthy of our calling. To your praise and glory. In Jesus name! This entry was posted in Bible, children, Sermons, Theology on November 1, 2015 by Stephen Sizer.